Tonight. Chelsea welcome Malmo to, Stamford Bridge, for the second leg of the last-32 knockout stages of the Europa League. Despite holding a 2-1 lead from the first leg, last week, in Sweden, it’s fair to say, taking into account Chelsea’s recent form, the tie is precariously balanced. With the pressure intensifying on Mauricio Sarri’s position at Chelsea, the last thing the Italian needs is to see his side exit the Europa League tonight, even more so with the Carabao Cup Final looming large on the horizon this Sunday. But Sarri, tonight, will be without his first-choice goalkeeper with our young Spanish keeper, Kepa Arrizabalaga, having picked up a hamstring injury. 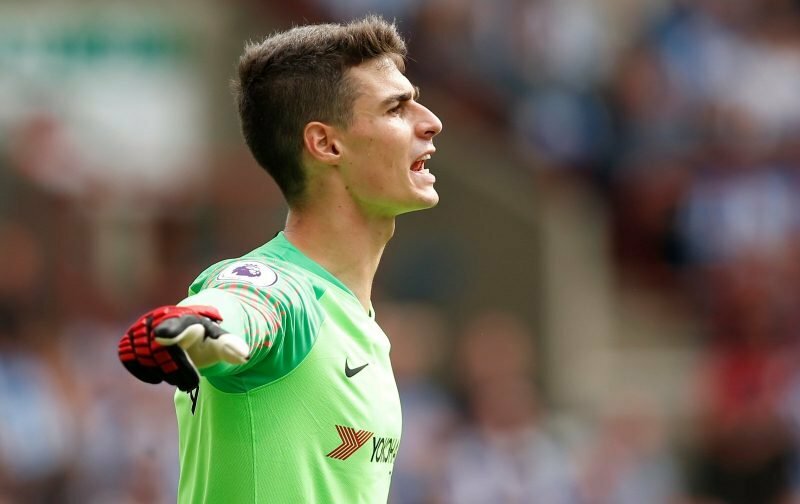 Hopefully, Kepa will be fit for the aforementioned final, on Sunday. When it comes to who will step into the void, it is more than likely that Willy Caballero will start, or could there be a surprise first-team opportunity for our veteran third-choice keeper, Rob Green? Elsewhere in the squad, there are two further doubts, another of our Spaniards, Pedro, has been laid low with a stomach virus whilst Davide Zappacosta has been absent from training due to a fever. On paper, Chelsea should be able to cope without either of the duo, considering the quality of the opposition, but, then again, you just never know when it comes to Chelsea these days!